comes this souped up and supercharged version of the Driving Directions Simulator. 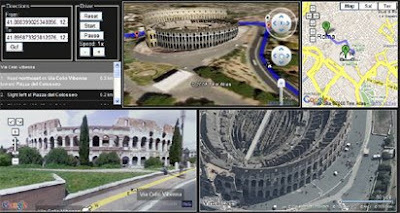 Not only does Gaiagi take you on a virtual drive through Google Maps driving directions with the browser plug-in but it also throws Street View and Virtual Earth's 'Bird's Eye' view into the mix. To use the Gaiagi Driver you will need to have installed the Google Earth Browser plug-in and be using Windows.